Martin Selmayr: why such a fuss over the ‘Beast of the Berlaymont’? To the European Union’s detractors, his appointment epitomises all that is wrong with Brussels — while the man himself represents the faceless power behind a faceless throne. Martin Selmayr’s name is still little known among all but the most avid followers of EU business. But he is now the top civil servant in the Commission. And in Brussels, he has been the talk of the town for weeks. Martin Selmayr’s nickname (there are others, too), a reference to the Brussels building that houses the Commission, illustrates the aura surrounding him. Having joined the European Commission as a press officer, he helped run Juncker’s successful campaign to become president. His style of management has been called “heavy-handed” and “abrasive”; a former Commission vice-president described the partnership with his boss as “poisonous”. 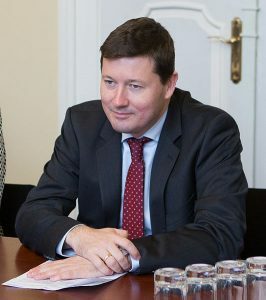 As Juncker’s chief of staff, Selmayr earned a reputation for getting the backs up of European commissioners, blocking legislation and upsetting negotiations, and picking fights with national government officials. Der Spiegel ran the headline The Most Powerful Bureaucrat in EU History? about him. MEPs have said that the appointment of Martin Selmayr as European Commission secretary general was a “coup-like action” but they will not ask for his resignation. So, Martin Selmayr rose to power in a way that many think should not have been allowed to happen in the EU. Now, I do NOT believe what happened with Martin Selmayr fulfills either of these prophecies. Yet, there will be a coming reorganization for Europe to accept a dictator called the beast (see also Must the Ten Kings of Revelation 17:12 Rule over Ten Currently Existing Nations?). What happened with Martin Selmayr only helps show that Europe may not always follow its expected procedures to get a leader. For a true believer in democracy, Martin Selmayr runs the European Commission not as some curator of debate but like the merciless hand of a king, who will stop at nothing to protect his vision of the realm: Europe, united and free. Make that an extremely heavy hand. Or maybe an armored bulldozer. As chief of staff to President Jean-Claude Juncker, Selmayr has spent the last two years astonishing and infuriating the EU establishment. He is a gatekeeper, restricting access to his boss even for high-level commissioners. He is an enforcer, imposing Juncker’s imprint (or his own) on virtually all initiatives, and plowing through those who disagree. Since Martin Selmayr is pushing for more European unity, he may be more involved with it in the future. That sea mentioned in Revelation is the Mediterranean Sea as other scriptures prove (cf. Daniel 7:2-8; Numbers 34:6-7; Joshua 1:4; 9:1; 23:4; Ezekiel 47:13-16). Despite some false claims by some, the Beast power is not a nation like Russia, which does not border the Mediterranean Sea, but Europe which does (Russia, however, will be a factor in eliminating the European beast power, see also The Eurasian Union, the Kings of the East, and Bible Prophecy). A comparison of the beasts in Revelation 13 and Daniel 7 shows that they share many of the same characteristics (for some details, you may wish to watch the YouTube video Can You Prove that the Beast to Come is European?). While I am not currently of the view that Martin Selmayr will be the prophesied “Beast of the Sea,” he may be one to watch. Europe will turn into a dictatorship and people like Martin Selmayr may well be involved. This entry was posted on Sunday, April 1st, 2018 at 3:00 pm	and is filed under Prophecy.